Kagan Structures are revolutionary teaching strategies. Why? Because they create an unparalleled level of student engagement. Kagan Structures create a cooperative and caring class tone by putting students on the same side as they interact in pairs, small teams, and with classmates. Structures ensure every student is individually accountable so no one can hide and take a free ride. Structures create equal participation, which means all students are engaged a much greater percent of the time. 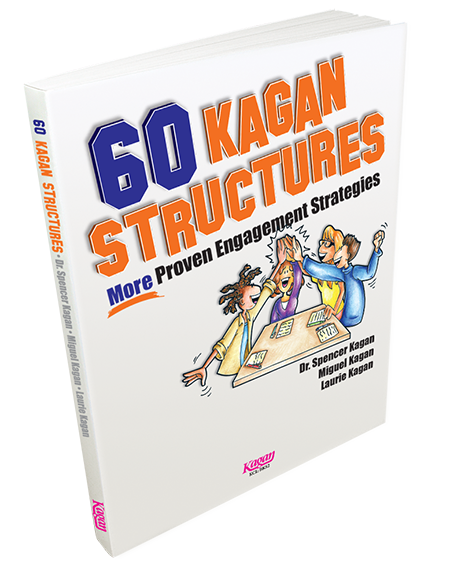 In this must-have Kagan reference guide, you get 60 step-by-step Kagan Structures you'll use time and time again. More structures means more tools in your teaching toolbox to create more student engagement, more student learning, and more success! 296 pages.